Wouldn't it be nice to be the best at something the first time you try it? Whether it's a game or a life skill, starting off with perfection would be a lovely way to go! It's true, some people do have an innate ability to possess very high-level skills for certain things. You wonder how they came to be so great, but it's actually a mix of luck and skill making them stand out. We can't all be so lucky! When it comes to Tetris, there are always going to be people who are a million times better. To play at the elite level is reserved for a handful of people around the world. I know I wouldn't stand a chance against them! With that said, I'm no slouch in Tetris either! While I can definitely hold my own, things didn't start out like this. It took years upon years of practice and a dedicated practice routine that I could stick to in order to learn new skills. There isn't some special trick to instantly make you better at Tetris. Much like everything else, you'll have to dedicate time to hone your craft. There are some tips to give you a bit of a leg up from time to time, and while those help, nothing's going to beat hard work. 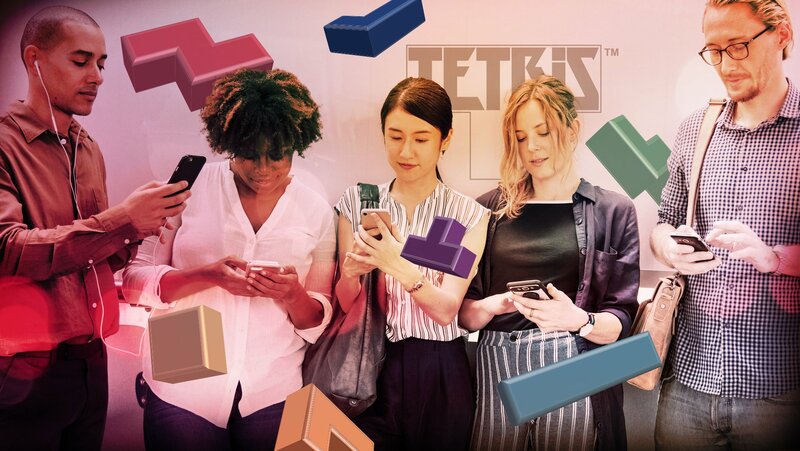 Once you've decided you're ready for your Tetris journey, it's time to get serious. As long as you stick with the game and keep chipping away, your skill level will grow without you realizing it. The most important aspect of it all comes from patience. Without patience, you're not going to have a good chance at becoming a better player. You will be hit with frustrating moments, and sometimes they're unavoidable. You'll have games which end in a matter of seconds, and Tetrimino chains which seem impossible to clear. That's the way things go sometimes, and you have to accept it. You're never 100% in control of an entire Tetris game. You can only handle the Tetriminos that come at you, and do your best. Practice makes perfect is true when it comes to Tetris. Even when you think you're wasting your time and not improving, you actually are. You'll see patterns in how the game comes at you. You'll learn from mistakes you've made and adjust accordingly. Sometimes it'll take 5 tries in a row before you spot another accident in the making. Sometimes it'll take 20 turns before you catch on! It doesn't matter how many rounds you have to go through before you learn something new. The point is you will, and you'll continue on your path to becoming a better player from there. If you get to a point where your frustration keeps you from enjoying the game, take a break. Again, these kinds of moments are bound to happen. No one wants to sit there and play 20 bad games in a row. Taking a step back from the game could be exactly what you need to set things straight. Give yourself some time away from the game to figure out what went wrong, and clear your mind. Once you look back and think about your missteps, you'll be better equipped to tackle them head-on when you return. It's equally important to recognize your successes, no matter how big or small. Did you manage to make it one level higher in Marathon Mode than before? Be proud of your accomplishment! Finally cleared two lines at once instead of one? Let yourself be happy about it! Each personal victory will get you closer to being the best Tetris player you can be. Every step of the journey is an important one, and you can't make it to the top without these minor wins. No matter what, remember not to give up. It's okay to get mad. It's okay to take a break for a few minutes, or even days. Do what you have to do to get yourself back into a better mindset. Then you make your way back to the game and give it another try. Keep going at it, and know each round you play is giving you something to build upon for the future. New tactics, muscle memory, a high score, they all matter. Gather everything you've accomplished while playing and stack it together for a clear path ahead. 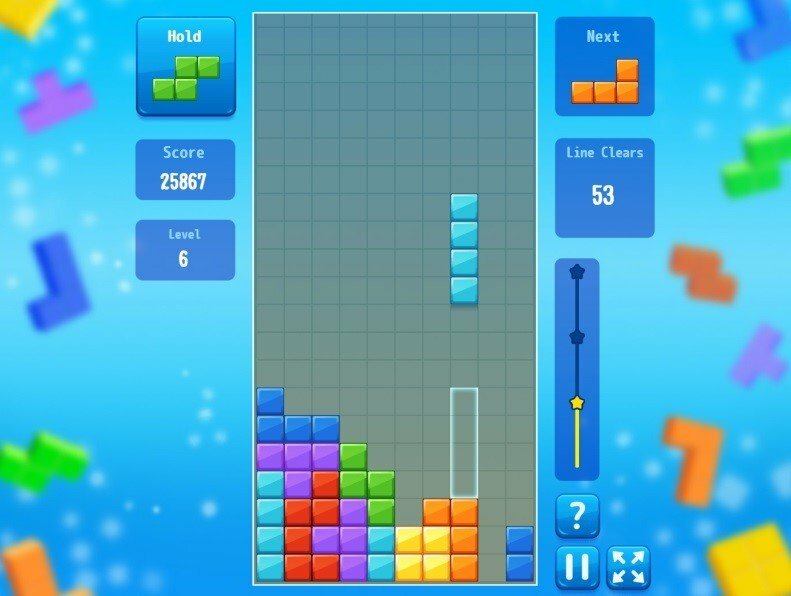 Start your journey to Tetris success with a free game right now on Tetris.com!